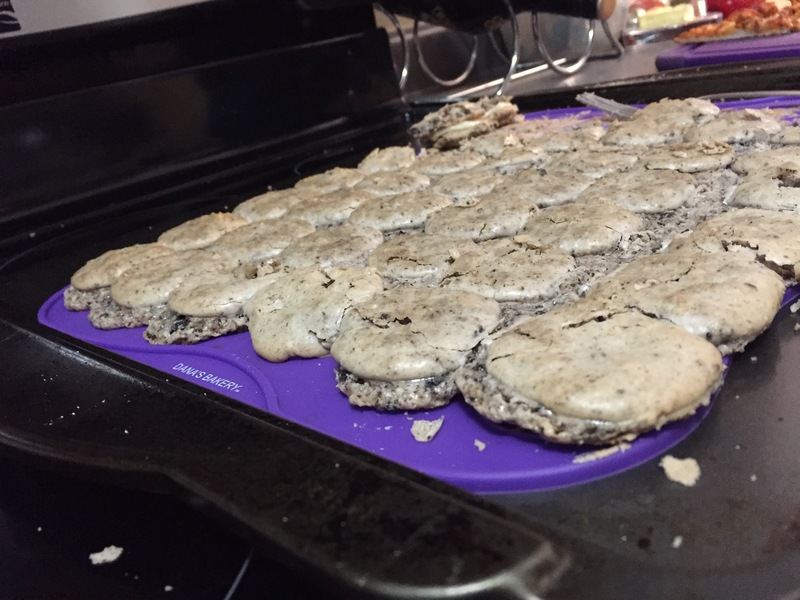 Making Oreo Macaron’s from Glitter Inc.
Today, I am making Oreo Macarons from scratch. I found the recipe on Glitter Inc., a fashion/ lifestyle blog by a a woman who is a lawyer and blogger. Before I get started, the first time that I made macaron’s, I used a kit from Dana’s Bakery. For those of you who may not know, macaron’s are not the same thing as macaroon’s, which are shredded coconut and other stuff as far as I know. Macarons are a French thing with almond flower, sugar and egg white meringue for the cookie part and icing in the middle. There are traditional flavours, but I am pretty much positive that while pistachio may be considered original, Oreo is not an original flavour. 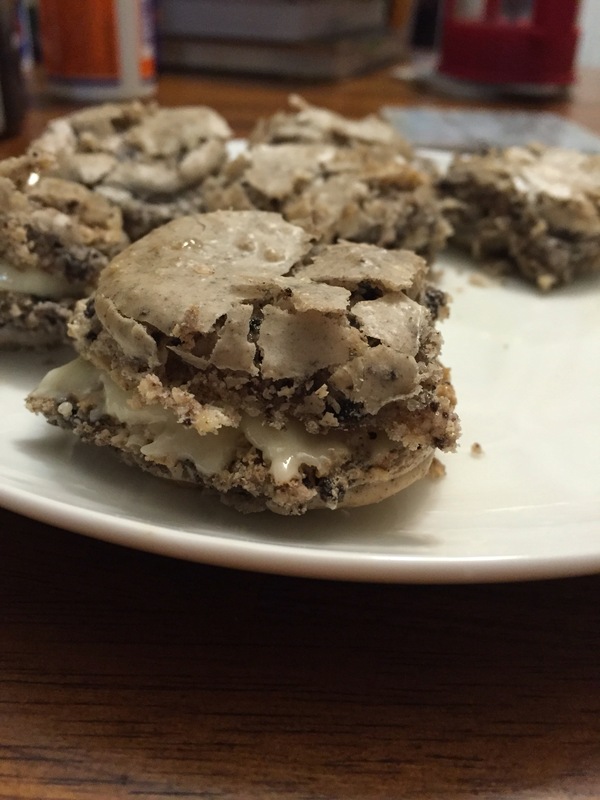 Buuuut Oreo’s + macarons is pretty much a genius idea and a must try. Before I get started, Dana and Shay Mitchell, who stars Emily Fields in Pretty Little Liars made this tutorial video above (^^^) and it was a really fun and helpful resource. Another helpful resource was this post, titled “Welcome to my blog! Let’s learn about macarons, shall we?”, full of helpful advice about making macarons, so check it out if you’re interested. In terms of what you need, most people who make macaron’s professionally seem to recommend a food mixer. However, if your like me and cash + kitchen space are limited, rest assured that I’ve gotten through the process a second time now using a handheld electric mixer. Also, I got this amazing macaron baking mat from Dana’s Bakery and I found it been super helpful for making macaron’s. Dana’s Bakery only appears to deliver to the USA. If you’re like me and don’t live in the United States, an American P.O. box is a great option if you or someone you know has one. If a P.O box isn’t an option, Amazon or your local cooking stores are great places to check next. You can also get a piping tube at cooking stores or even Walmart. As I am sure that you can see, there is obviously some kind of boo boo made on my behalf. 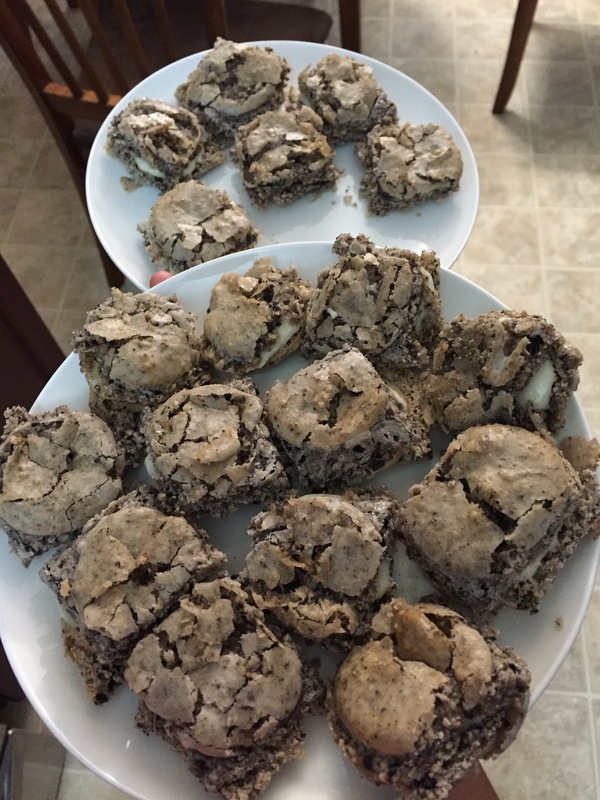 Maybe, I should have sifted the flour and Oreo cookie bits a little bit better (or, you know, at all). Fortunately, they still taste soooo good. Even though the cookie bits came out a little bit spread-ey side. That’s the nice thing I am learning about macaron’s; even if they don’t look like they’re bakery perfect, they still come out with a bakery texture and taste. These ones are wonderfully gooey-ish, in the way that macaron’s usually are, and they’re wicked tastey. I mean come on, it’s Oreos and macarons and that’s kind of brilliant. If you’re looking to try making macarons, this Oreo Macarons recipe from Glitter Inc. is totally worth it in my opinion. Personally, I plan to keep practicing until mine come out perfect looking. 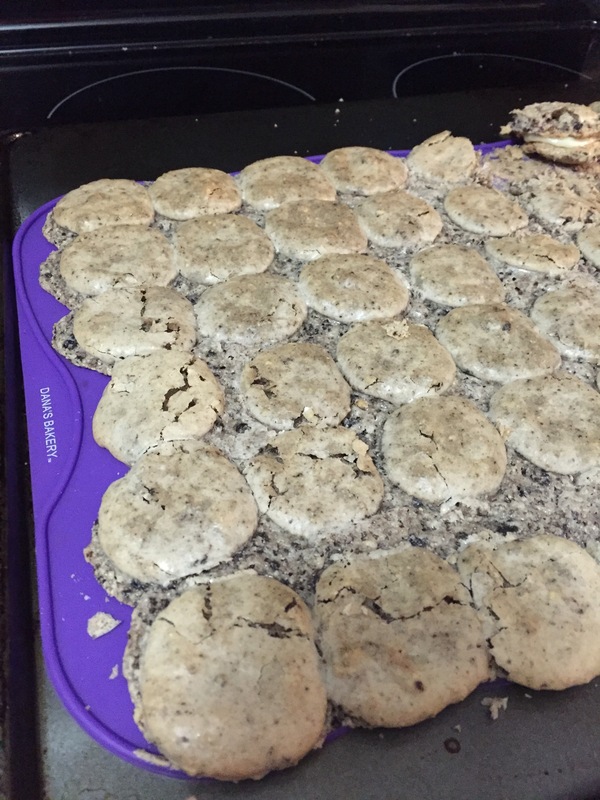 Oreo Macarons and Glitter Inc.